Dublin, a pasionate beauty, was voted the friendliest city in Europe by several of the biggest names in the travel industry. It’s no surprise. Her heartbeat pulses down streets and alleys. It flows down the River Liffey and runs into the sea at Dublin Bay. Embraced on one side by soft hills and on the other by a tempestuous sea, Dublin is a pure pleasure any time of year. Like all interesting people, Dublin has a mysterious past. Her ancient Celtic founders, farmers and fishermen, built megaliths older than the pyramids on the outskirts of their community. These places await you. Roll with the flow of Dublin’s unique energy. Leaves flutter through the Temple Bar area past vibrant theatres and dazzling pubs. They circle the ankles of street performers, gathering in the doorways of pubs filled with music. Wander down elegant Grafton Street. Looking for a taste of ancient magic? 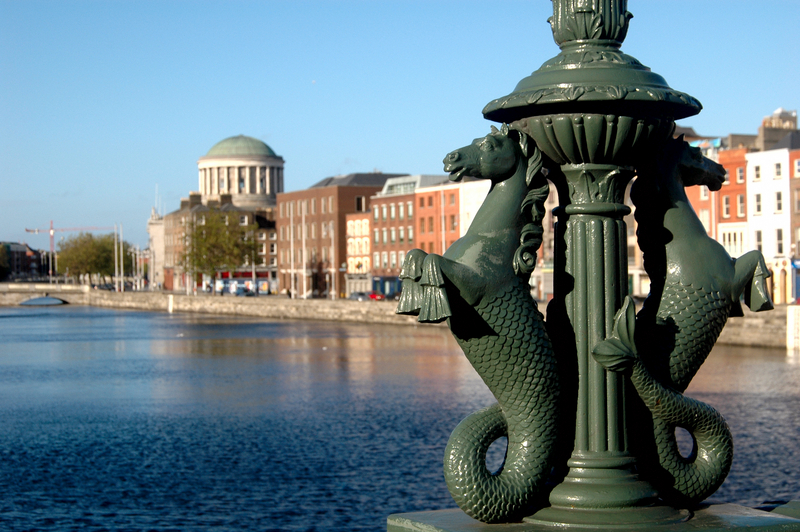 Dublin is a focal point of Celtic art and wisdom. Stop and see the Book of Kells at Trinity College, and don’t forget the Beatty Library. With a collection of rare books and intriguing art that’s more than 4,000 years old, a flight of fancy is limited only by your imagination. There has never been a better time to visit Dublin. Come to the city with a heartbeat as familiar as your own! Best to you from the Authentic Ireland Crew! Wherever you travel in Ireland the pace will be gentle. There will always be one more friend to make, traditional musicians to hear, one more ancient ruin to explore, and another mind-boggling castle reaching to you across time. Relax and enjoy. Ireland is a banquet for the senses. She has rugged peaks and mountains to discover. There are 3,500 miles of coastline. The lush pastures are an indescribable color of green. And, through it all, run hundreds of rivers and lakes. The most mysterious prehistoric ruins in Europe, older than the pyramids, are in Ireland. The land carries the myths of a long line of Ireland’s people, from the Celts to St. Patrick, to the Norse and the Anglo-Norman castles and lovely villages. Slow down. Breathe deeply. 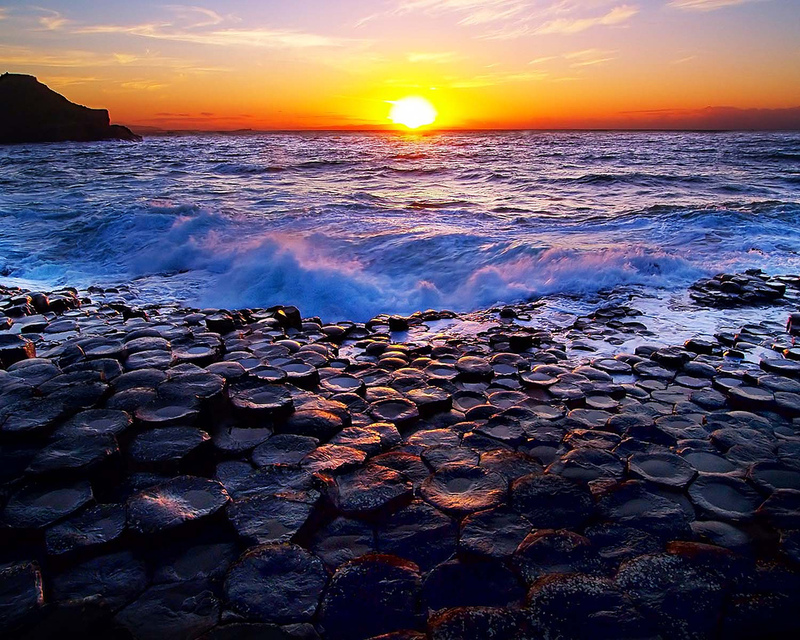 Whatever you decide to do, let Ireland present you with a vivid experience that is absolutely Irish, and absolutely unique. We LOVE our clients! This just in from Rebecca O’Neal. 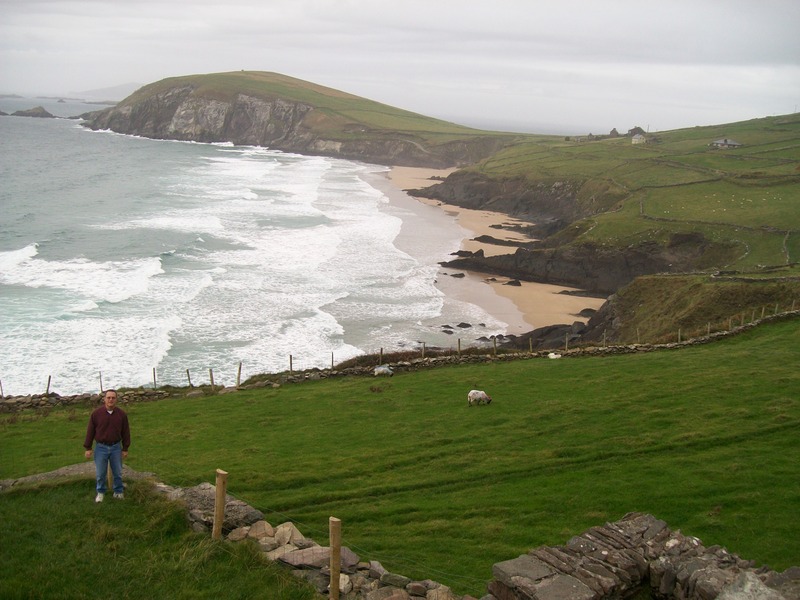 Those who travel Ireland often have Irish descent. So, it’s only natural that going to Ireland feels like going home. Enjoy the O’Neal’s story and a few gorgeous photos. Then come home! “I just had to drop you a line to let you know how much we thoroughly enjoyed our vacation. You did a wonderful job of putting it together and it went off without a hitch. The B&B’s were lovely, spotless accommodations. The breakfasts were delicious and plenty. The hosts and hostesses were so friendly and helpful. “You have many jewels in Ireland but the crowning jewels are the people. The scenery was simply breathtaking and every day was an adventure, especially with my husband driving on the “wrong side of the road” (to us, that is). We had a great little rental car. The GPS was worth the little extra we paid. We had great phone service with our cell phone. “You had everything reserved and planned perfectly. 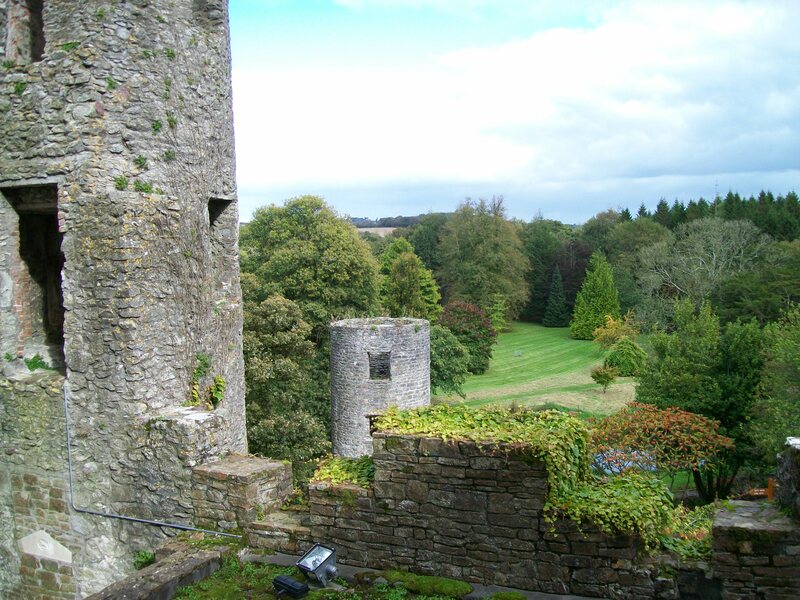 I’m recommending you to my friends who would like to visit Ireland. Adare was simply spendid and a great way to wrap up our vacation on our last night. You get thumbs up from Rusty and me. 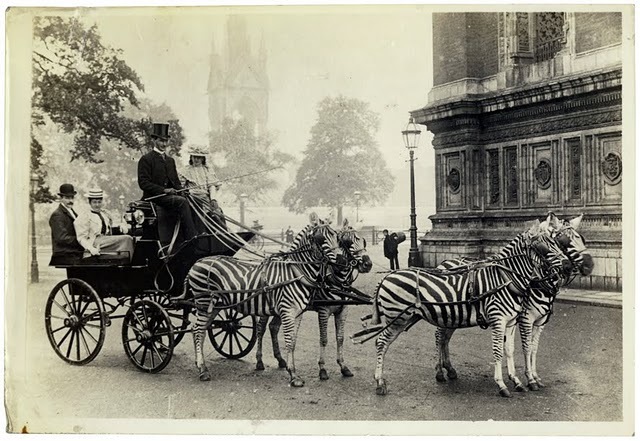 Have you ever wondered about riding a zebra? They’re beautiful. They are so much like a horse. They are dapper and bold. The Limerick Post told us about one local man who not only wondered, he went out and made it happen. Johnny Cross, a local horse trainer, has since been turning heads around the city by strolling around with his new zebra. Where did he get it? Johnny bought the zebra in Holland to see if he could break it and turn it into a respectable horse. This is supposedly a near-impossibility. How have efforts gone to train his magnificent animal? Well, let’s just say that Johnny isn’t planning on racing him. With typical Irish wit and understatement, Johnny summed up his experience by saying, “He’s as good as you could expect for a zebra.” But he added that the beautiful animal makes a very nice pet. Who knew? If you’d like a more traditional four-legged ride, we suggest several horse-back riding experiences that are…well, they don’t involve a zebra, but they are amazing!